What is Bitebank&apos;s Social Media Marketing Setup? 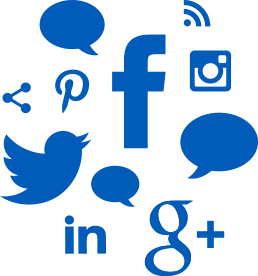 Our Social Media Marketing setup program will market your dental clinic across a variety of different social media platforms such as: Facebook, Google+, YouTube, LinkedIn, and Twitter. 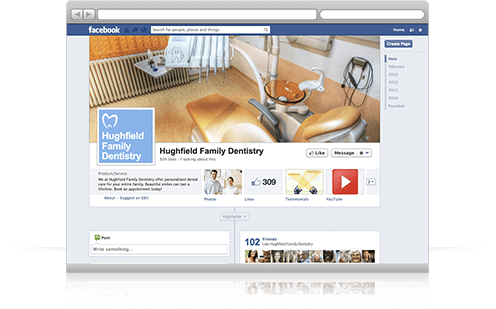 Our team will handle all the social media setups for your dental office. Leaving your social presence with a unique and custom feel under which you&apos;ll be able to reach out and interact with your patients. Let us help you with social media posts! Maximizing your exposure: Reach more people with our account management of up to 3 accounts such as: Twitter, Facebook, Google +. 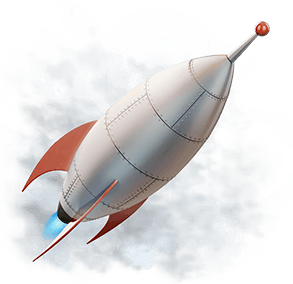 Establishing your business as an authority: Show your expertise with content like news, tips, articles, trivia and more posted 3 times a week. Connecting with your target audience: Build relationships with personal interaction with patients' comments and questions. Generating Leads: By linking posts back to your website, new patients are more likely to find you online. Producing instant original content: Customers with the blog function can have Social Media posts turned into blog posts on your website. How is Bitebank social media different? At Bitebank, we'll make sure your social media presence is universal across the web so that your patients will always be able to easily recognize your brand and dental clinic. By creating custom backgrounds and optimizing your social media pages, we set up your social media to outshine the competition. Social media is a great way to communicate to new and existing patients. It is a powerful new method to promote your business, provide customer service to patients and gather their feedback. Contact our Internet Marketing Department today at 1(888) 575-7932 or marketing@bitebankmedia.com to find out which of our social media programs is right for you!